Cast- Farhan Akhtar,Sonam Kapoor,Master Jabtej,Yograj Singh,Divya Dutta,Pawan Malhotra,Nawab Shah,Rebecca Breed,Prakash Raj & Dalip Tahil. 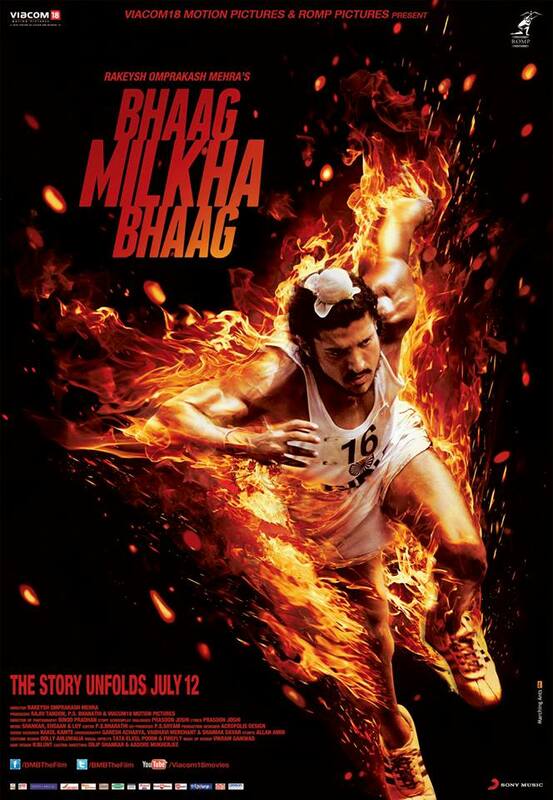 Bhaag Milkha Bhaag is a biopic based on the most successful athlete in history Milkha Singh who happened to sell the rights to his story for a mere Rs.1/- . Director Rakeysh Omprakash who is known for the blockbuster “Rang De Basanti” & and not so well made “Delhi-6” has made up with this biopic. The film revolves around the life of the character Milkha Singh right from childhood until he is a champion, the journey is well captured through linear story telling, which we have seen in RDB earlier, he has a style where the story oscillates between different periods without deviating from the subject. The scenes are well woven between the past and the present with seamless editing supported with tight screenplay by Prasoon Joshi, which does not tires you in spite of the 3hrs:10mins duration of the movie. No one else other than Farhan Akhtar could have been a better choice for the role of Milkha Singh, his dedication towards the role is simply amazing as it matches to every tiny details of Milkha Singh right from the looks until his running style. He played him so well that we get up close with the character. He fills every frame with tremendous energy whether it’s the opening scene where he is standing at the center of the stadium with crowd cheering him or it’s the loverboy who could not help fall for the girl next door or the determined individual who never gives up and believes in himself. 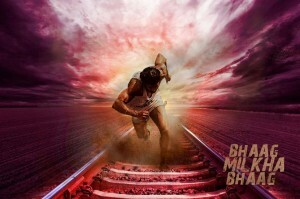 Farhan has got the entire nation once again cheering for Milkha Singh. Now comes the surprise factor which we would have never expected to be this great, the young Milkha Singh played by Master Jabtej who blows your mind away with extraordinary performance, he just gives you goosebumps with his presence on screen. The character was well played by him, he can act hands down. He has shown his acting prowess with panache, you cant help but applaud at his amazing performance, one particular scene where he finds his entire family butchered is remarkable. Sonam Kapoor has hardly any screen space in this one she was just a beauty relief in this powerful drama supported by Rebecca Breed an Australian actress who brings a little sizzle on screen. Pawan Malhotra as Milkha’s coach has done a good job who was seen on screen after a long gap. Prakash Raj as training officer has a decent screen time and presence as you will not forget this character. Dalip Tahil has portrayed Pandit Jawaharlal Nehru who looks fit for the role. The director have done tremendous research in capturing the time and essence of that period.The color given to the film was perfect. Cinematography by Binodh Pradhan was spectacular complimented with well cut picture by P.S. Bharathi. Shankar-Ehsaan-Loy’s music just fits every mood of the movie with perfect timing, the best is “Zinda” which gives you a rush. All the scenes where the running happens are engaging, every character in the movie who are shown as athlete’s have ran miles because they don’t fool you by fast camera work. Farhan has proved that he is the utmost perfectionist whose physique looks like a bar of a Cadbury, he looks like Milkha Singh at all the angles.Milkha had helped Farhan to get this perfect detailing. 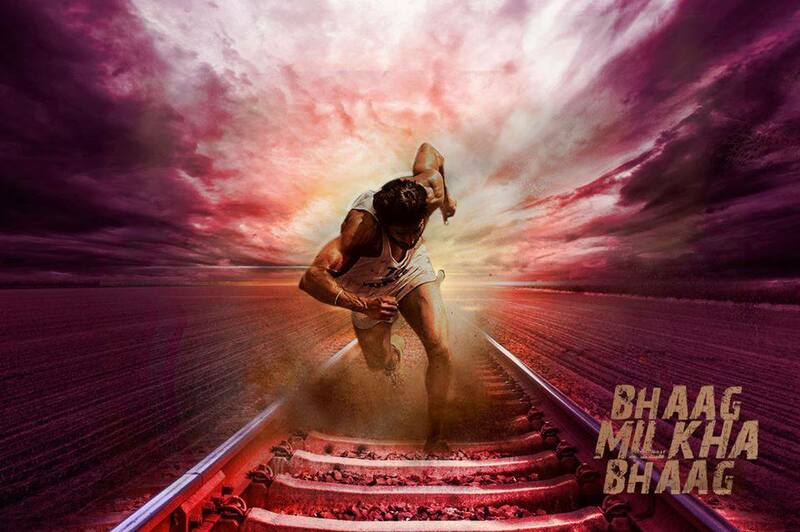 Bhaag Milkha Bhaag is a perfect tribute to the legend MILKHA SINGH who earned the title “The Flying Sikh” given by the General of Pakistan. I’m still reeling in the awe of amazing Milkha Singh, this movie is a standing ovation to him and a bow to Farhan Akhthar who portrayed him convincingly. 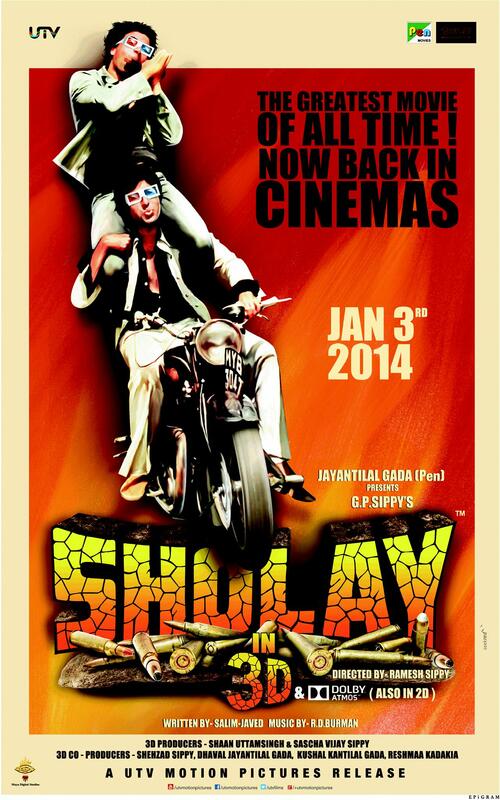 Definitely worth a watch, this what you call Pure Cinema.